Today a Belarusian court sentenced human rights activist Ales Byalyatski to 4 and a half years in jail for tax evasion. The Belarusian authorities ignored yesterday's joint statement by EU High Representative Catherine Ashton and Commissioner Štefan Füle calling for his release. This verdict is widely believed to be politically motivated. 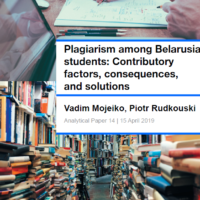 Over the last two weeks Belarusian analysts have been discussing other new legal developments: the recently established Investigations Committee, the "presumption of guilt" in Belarusian courts and increased legal pressure against NGOs. Belarus tightens the screws on legislation – Lukash Graevsky points out that the Belarusian government uses all possible means at its disposal to disable the work of non-governmental organizations with the reinforcement of legal norms. International organizations are trying to criticize and resist the present state of affairs; however, the new legislative norms seems to be a decisive issue. The author outlines the main infringements implied by the legislation. Through a lack of confidence in the courts, people express a lack of confidence in the state — Human rights activist Elena Tonkacheva discusses the "presumption of guilt" in the Belarusian justice system, reviews the Byalyatski trial, 'terrorists case' and the judicial system in general. Is the Investigation Committee going to become the most Important security service agency? – Siarhei Satsuk dwells on the growing influence of a newly-created Investigations Committee and speculates about the allegeable redistribution of power in national law-enforcement structures. The author stresses that possible problems may arise due to the Committee'svast range of powers, which should be controlled accordingly. Nepotism will no longer constitute corruption – Aleksandr Myshin discusses the draft law according to which a technical ban for simultaneous public service of Aliaksandr and Viktar Lukashenka (his son) will be lifted with some amendments specifying the range of family relationships at stock. Previously, the service, which included direct subordination of public servants with a close relationship, was viewed as a serious corruptive violation. Nonetheless, in 2005 Lukashenka's son was appointed deputy of national security. Will there be guest workers in Belarus? – Qualified people are leaving Belarus because to the economic crisis. Unlike the government experts, analyst Yuri Pshennik believes that people should be allowed to seek work abroad, because it is profitable to the state: people return to live in Belarus and earn money that is also spent in Belarus. Reforms: Belarus changes to military style – The 2010 presidential candidate who was granted political asylum in the Czech Republic, Ales Michalevych, takes an ironic approach to covering the recent reforms in the country. Economic sluggishness makes the country's leaders resort to law-enforcement and military structures for help. The recent award of major-general ranks to the regional chiefs is a vivid example of such an approach. Third Sector at the Swedish table – on November 13, Belarusian TV showed the plot, "exposing" the corruption of the domestic opposition. 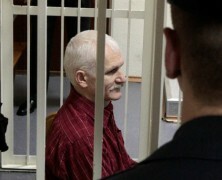 Journalist Dmitry Sergeichik suggests that the plot appeared because of the complete failure in the trial of Ales Byalyatski. The investigation has not been able to provide any way relevant documentary evidence of Byalyatski's guilt. Therefore, the state propaganda is trying to present the third sector as a totally venal and corrupt environment, devoid of any generous goals and in the process of turning into a private illegal business. The format of discussions on Belarus should be changed – Andrei Hadanovich gives a broad view on Belarusian civil society and its culture, in particular, in an interview during the Cultural Congress of the Eastern Partnership in Lublin. He resorts to cultural renovation as the most appropriate and effective way of re-building and awakening society. Evidently, nowadays poets are more often listened to than politicians. Belarusian foreign policy index # 4 – BISS presents the fourth edition of the Belarusian foreign policy index, which covers the period September-October 2011 and considers five foreign destinations. The general conclusion is that in isolation from the West, Belarus continues to drift towards Russia and gives in to any concessions necessary to please Moscow. Relations with the EU have not changed. The lack of a Western vector and pressure from Russia has led to some improvements in relations with Ukraine. Auctioning of government property, a familiar debate about the extent of Lukashenka’s domestic legitimacy, and a few sensationalist words about life inside a police state: a round-up of Western coverage of Belarus over the last month. 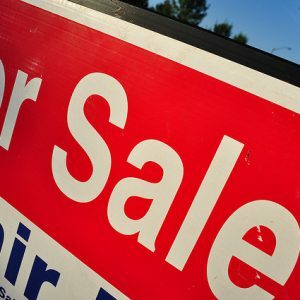 Selling off the state. The Belarusian Central Bank’s auctioning of office supplies and furniture has drawn the most interest this month. The Guardian, The Independent and Business Insider Europe reported on the auction of more than 500 office items at the end of October. The Guardian drew a clear link between the sale of safes, suitcases, and even a cardboard box, and Belarus’ crippled economy, but reported that a Central Bank spokesman denied that the auction had anything to do with the crisis. Rule Through Fear or Consent? Two bloggers have been engaged in a back-and-forth about the source of Lukashenka’s grip on power: is it ultimately upheld through popular support or through authoritarianism? Robin Tom West insists that Lukashenka’s rule is maintained primarily through support from a population which continues to welcome his strong leadership and neo-Soviet policy model. West also prescribes that the US engage in dialogue with the regime. Kapil Kommeredi, on the other hand, insists that despite popularity in his early days, Lukashenka’s power is essentially “underwritten by force”, and that the West must not underplay the extent to which that the opposition is stifled and in need of assistance. Coerced into Compliance The Economist for one suggests repression of the opposition is alive and well. It reports on the three young Belarusians who have revealed that they were recruited by the KGB to spy on key opposition figures. The three men have said that they were threatened with long jail sentences if they did not comply; they also suggested that duping their KGB masters was surprisingly easy. The article notes that Lukashenka’s approval rating is at an all-time low, but also points to the absence of any strong opposition leader to challenge the president. Western Investors Back Down. The Independent continues to cover the story of European banks' ties with the Belarusian government. At the end of October they reported that Deutsche Bank and BNP Paribas had followed Royal Bank of Scotland in agreeing not to sell any more Belarusian government bonds, following a campaign by Index on Censorship and Free Belarus now. Russian Sberbank remains the only member of the syndicate not to have declared an end to business with Lukashenka. Ten Steps to Lukashenka’s Exit? Seizing on Lukashenka’s vulnerability in the context of the failing economy, Freedom House president David Kramer has set out ten things the West should and should not do to facilitate the regime’s demise. He advocates extending sanctions to state-owned businesses, increasing pressure for release of all political prisoners, engaging with civil society and preventing at all costs an IMF loan. On this last point, Bloomberg has reported that the IMF supports the government’s recovery plan which includes boosting exports and tightening fiscal policy, and has reiterated that any loan is dependent on these reforms being implemented. Lukashenka has voiced his opposition to the plan. Minsk in literature Finally, Eric Almeida’s new thriller novel Minsk Rises– only available as an e-book- has been reviewed by Nina Sankovitch. In setting the scene of the book she suggests Belarus is a “Soviet era dictatorship” in which all cultural life is controlled by the government. As for the book itself, it gets a positive review as a tale of a US businessman who gets caught up in the world of police surveillance and government control.